University of Twente is one of three technical universities in the Netherlands, with the specific profile to link technical sciences to policy and management sciences. The mission of the Department of Water Engineering and Management is to increase our understanding of the natural processes in water systems and the socio-economic processes that affect these systems, and to develop tools that can effectively be used to support the management of rivers, river basins, seas and coastal zones. The department has about 20 staff members and 20 PhD students. In a recent research assessment the quality of the department was evaluated as excellent or very good on all criteria. One of the research themes of the department concerns the sustainable use of water resources. The theme is studied with a thematically and methodologically broad scope. The group is internationally leading in the conceptual and operational development of the Water Footprint and research on the application of water footprint assessment in water policy and water related behaviour, targeting public institutions, companies as well as consumers. The University scientifically supports the Water Footprint Network (WFN), a NGO devoted to further development and application of the water footprint. In a close cooperation, UT and WFN disseminate scientific findings and give contributions to policy debates at international water events such as World Water Forum and World Water Week. The contributions of the University of Twente to MAGIC will draw on the expertise in assessing national, regional and global footprints and their sustainability, water footprints of agricultural as well as industrial products, water footprints of first and second generation biofuels, trade-offs between water and ecological footprints and integration of footprints, and on expertise in policy analysis targeting reduction of water footprints and their impacts, and integration of environmental footprints, including the role of trade. Insights of UT and quantitative tools developed there will give essential contributions to MAGIC in conceptualizing and quantifying water-related aspects of sustainability as part of the nexus. UT will contribute to the translation of MAGIC results to academic courses and e-learning. 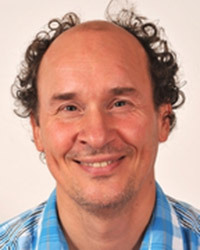 Arjen Hoekstra is Professor in Water Management at the University of Twente, the Netherlands. He was the first to quantify the water volumes virtually embedded in trade, thus showing the relevance of a global perspective on water use and scarcity. 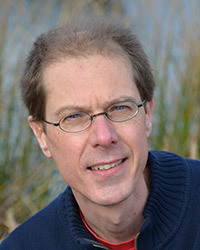 As creator of the water footprint concept, Hoekstra introduced supply-chain thinking in water management. With the development of Water Footprint Assessment he laid the foundation of a new interdisciplinary research field, addressing the relations between water management, consumption and trade. Hoekstra’s scientific publications cover a wide range of topics related to water management and include a large number of highly cited articles and book chapters. His books were translated into several languages and include The Water Footprint of Modern Consumer Society (Routledge), The Water Footprint Assessment Manual (Earthscan) and Globalization of Water (Wiley-Blackwell). Dr. Maarten S. Krol holds a PhD in Applied Mathematics received from the University of Utrecht with a thesis on ‘The Method of Practical Averaging in Partial Differential Equations’. His research interests cover integrated assessment, integrated modeling of water systems, integrated scenario construction, climate change impacts, scale interactions, agent based modeling of stakeholder aspects and management strategies and use of knowledge in decision-making processes. Charlotte Verburg is a Ph.D. candidate in the Water Engineering & Management research group at the University of Twente in the Netherlands. She holds a M.Sc. graduate in Environmental Sciences from the Wageningen University where she specialized in “Environmental Systems Analysis” and “Environmental Economics and Natural Resources”. During the course of her studies she focused mainly on water related issues. For her M.Sc. research she used an integrated modelling approach to understand and quantify the flows and accumulation of plastics from land-based sources in the marine environment. For her internship she went to Indonesia to investigate the problem of plastic pollution at the coastal waters of Java. And she explored the opportunities for future research projects, including the possibilities to use the Global NEWS model to analyse plastic litter pollution. 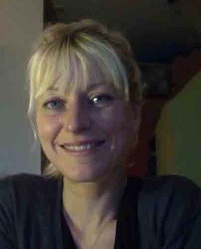 Her main research interests are in water related issues, sustainability, agriculture, food safety, waste management, equity, circular economies, complex systems, integrated research, quantitative methods, computer modelling. 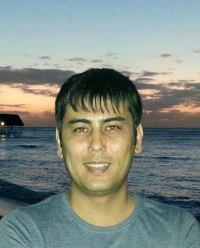 Bunyod Holmatov is a PhD candidate in the Water Engineering & Management research group at the University of Twente, Netherlands. Prior to starting the PhD, he worked as a consultant at the International Water Management Institute’s office in Uzbekistan where he was involved in a number of research projects focused on water security, transboundary water management, water governance, and climate change. Holmatov has authored and contributed to a number of peer-reviewed articles and serves as a reviewer for water sector journals. He holds a Master of Environmental Management from the Yale School of Forestry and Environmental Studies. He is originally from Kokand, Uzbekistan.